Growing your business in Denver. 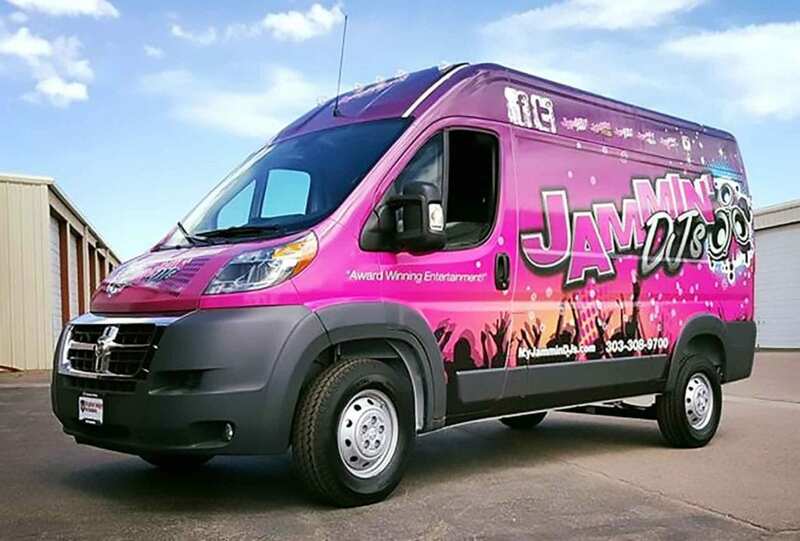 You might be asking yourself, “What exactly is a vehicle wrap?” A vehicle wrap is a mobile advertisement for your business. Typically comprised of heavy duty vinyl, and professionally printed and installed. A vehicle wrap can cover a portion of a vehicle ( a “Partial-Wrap”) or it can cover the entire vehicle (a “Full-Wrap”). Most vehicle wraps are printed from custom artwork provided by the customer or professionally designed by a graphic designer. If you are unsure what you would like your vehicle wrap to look like or have an approximate idea, a graphic designer can help guide you. Creating the design for a wrap is the most time-consuming part of the process. Is a vehicle wrap a good idea for me? Depending on what the nature of your business is vehicle wraps can be a great asset to grow your business. A well-designed wrap helps your company stand out and get noticed by potential customers. It’s technically a “Guerilla Marketing” tactic, where you are placing your product or service right in front of customers. Most, if not all of our customers claim that wrapping their vehicle helped drive more business their way. Just think about how many times you see ads on vehicles while driving down the highway. The cost of a getting a vehicle wrapped depends on the size of the vehicle and the amount of time it takes to design the wrap. A semi-trailer takes longer to wrap when compared to a compact vehicle. Though pricing varies, we typically find that a full-wrap can cost $2000-$5000. With smaller vehicles accounting for the lower-end of the price range and large trucks and trailers coming in at the higher side of the price range. What else should I know before deciding on my wrap? We really want to stress using a reputable 3M™ Certified printer and installer. We can’t tell you how many times we are approached by customers that decided to try and apply a wrap themselves or had friends do it. They typically end up coming to us asking us to fix the problem. Our installers have years of experience and are often retested by 3M™ to renew their certification. So, make sure to go with a pro, whether or not it’s us. This will save you time and money in the long run. Another thing to keep in mind is this is an investment for your company, much like buying a TV ad or radio spot. The difference is that a wrap will last you 4-5 years and continue to grow your business far after and for far less money than traditional advertising.